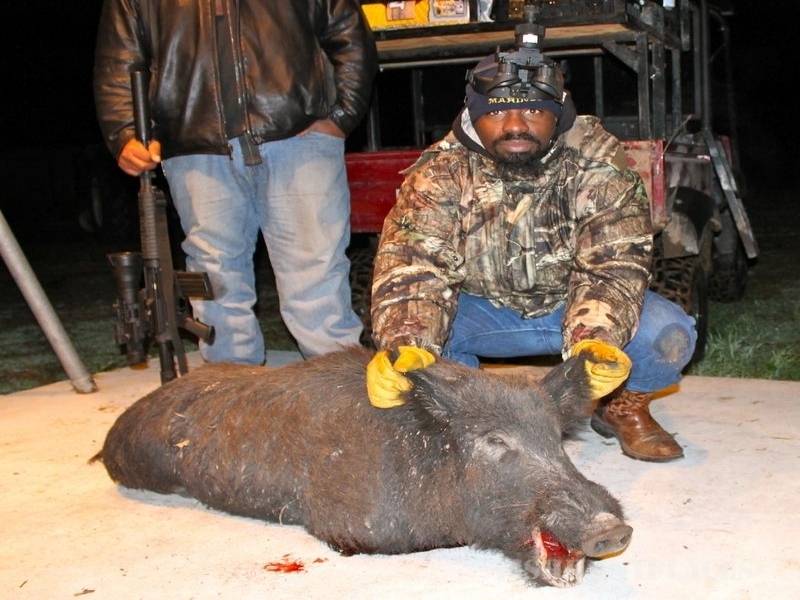 Based on a family owned and operated ranch, MT Night Hunters LLC specializes in Texas hog hunts and Guided Night Vision Hunting. Located in Central Texas between Houston and Dallas, a prime feral hog hunting region, that covers several thousands of acres of open range. With State of the Art Gen-III Night Vision Technology and Equipment, MT Night Hunters provides the equipment to equip the guest for prime night vision hunting. 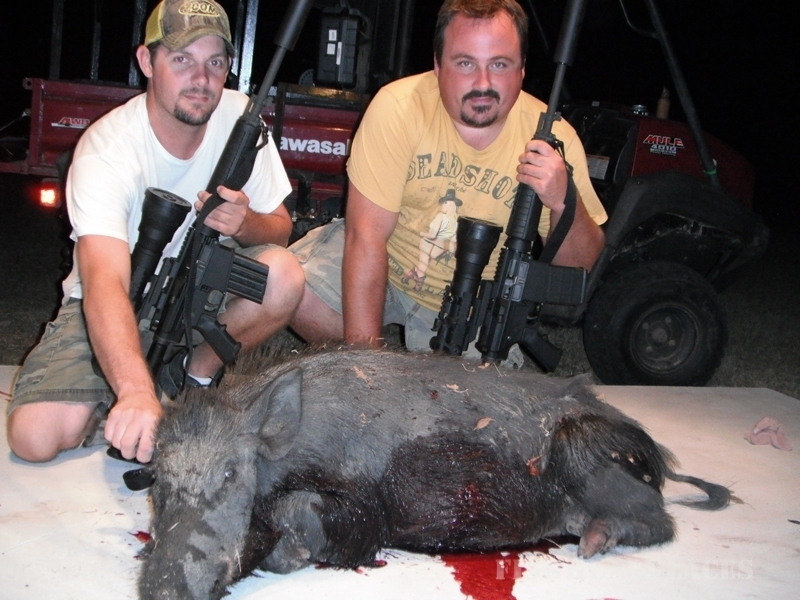 For each wild hog hunt the hunters will be using a combination of night vision goggles and night vision scopes. The night vision scopes are used on .308 caliber AR-10 rifles with legally suppressed silencers. Opt to settle in and stay for a relaxing time in the new comfortable two-story camp house. Come and enjoy the peaceful country style living after an exhilarating night of guided night hunting. Do you have a family member or friend that would enjoy riding along and watching the excitement of your kill? 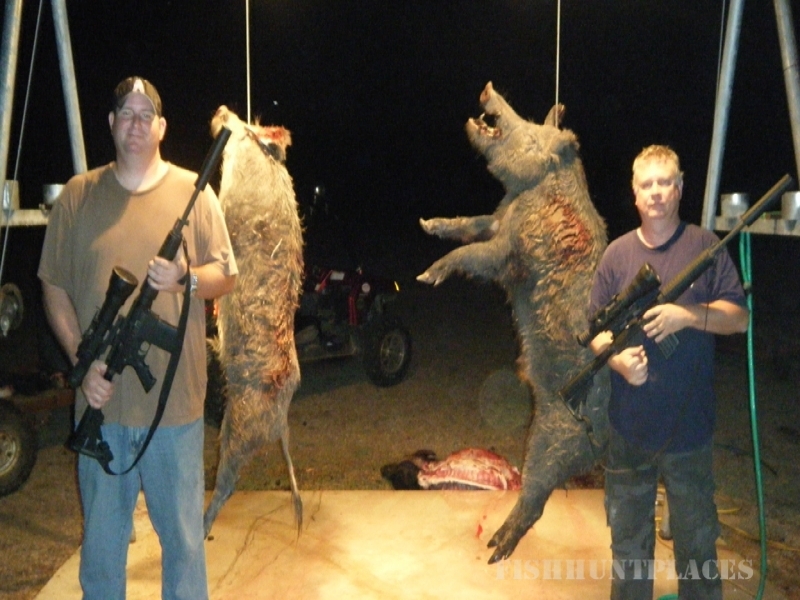 MT Night Hunters LLC will allow one guest per night to come and stay with a group of paid hunters. A maximum of four people will be taken out at a time with the maximum of two shooters per a stalk. The group will be riding on a 4-wheel drive ATV equipped with high rack shooting seats for up to six hours of guided night vision hunting each night. MT Night Hunters has Inclusive Packages that includes One or Two Night Lodging and Guided Night Vision Hunting. 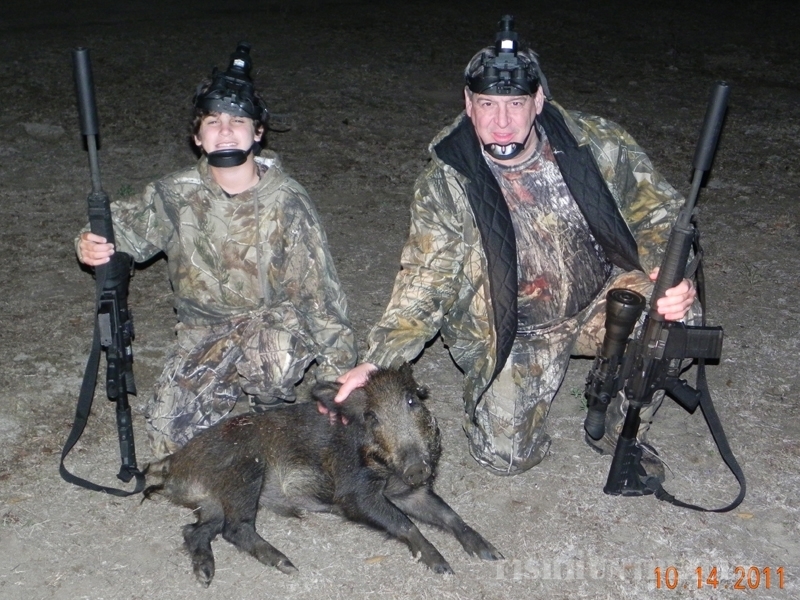 MT Night Hunters LLC also offers Guided Night Vision Hog Hunting without lodging. MT Night Hunters has Unlimited Harvest and No Trophy Fees! 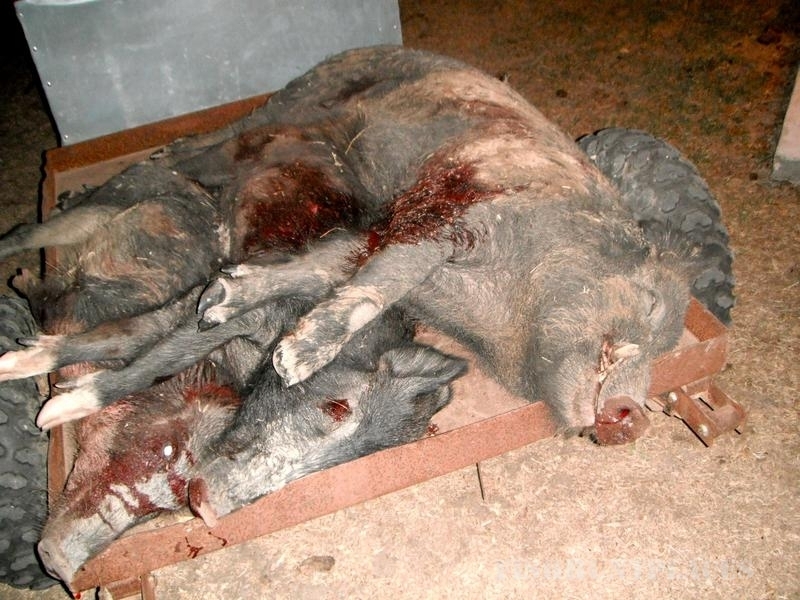 Field Processing is available at a conveniently affordable cost if you request for your hogs to be picked up in the field, cleaned, and placed in your cooler on ice while you continue to hunt. Just bring your large ice chest for your hogs to be placed in to take home and ice will be provided.